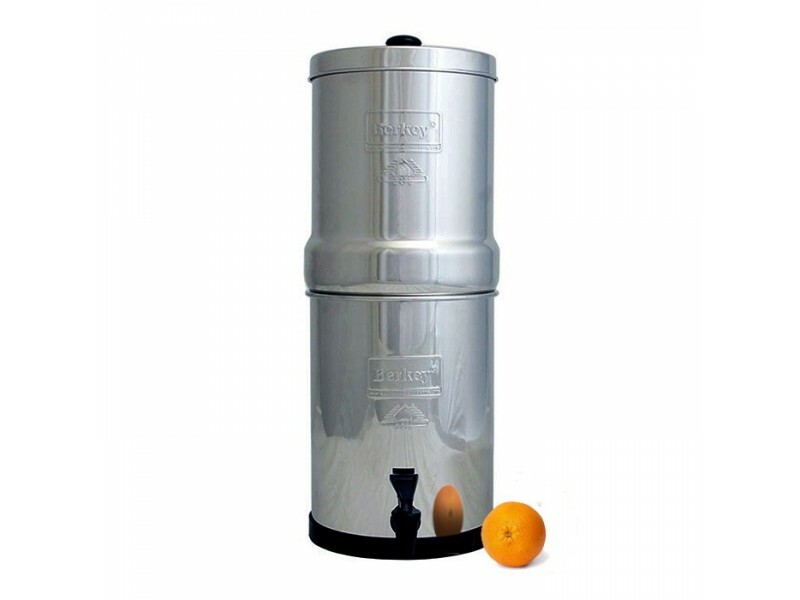 The Imperial Berkey Water Filter System is ideal for larger families and small groups between 25 and 75 people. The powerful Imperial Berkey water filter system comes with 2 Black Berkey Purification Elements and can treat water from lakes, streams or ponds. With the 2 included elements it can produce up to 5.5 gallons of purified drinking water every hour. The Imperial Berkey Water Filter System is ideal for larger families and small groups between 25 and 75 people. The powerful Imperial Berkey water filter system comes with 2 Black Berkey Purification Elements and can treat water from lakes, streams or ponds. With the 2 included elements it can produce up to 5.5 gallons of purified drinking water every hour. Need more? Not to worry! The Imperial Berkey will hold up to 6 Black Berkey Purification Elements and will produce up to a whopping 16.5 gallons of purified water per hour! That’s enough to take care of the needs of not only your family but others as well. Recent natural disasters have reminded us again of the importance of having access to clean, fresh drinking water. With the Imperial Berkey System, you will be able to provide that water to your family, neighborhood, health clinic, or church group. It’s simple to set up and within minutes your Imperial Berkey Water Filter System will start producing safe, clean, purified drinking water. Get the Imperial Berkey to remove not only any bacteria but viruses as well. Use it to extract harmful chemicals such as pesticides, herbicides, organic solvents, trihalomethanes, and radon 222. In addition it reduces nitrates, nitrites and any unhealthy minerals like lead and mercury. This Imperial Berkey is so efficient it can remove all the harmful elements from water without eliminating the minerals your body needs. No other system is able to replicate the performance of the Imperial Berkey Water Filter System and the taste of the water is unbelievable! Easy to use, easy to clean, easy to keep your family safe. If you are looking for the best in water filtration systems then look no further than Berkey! You will see why Berkey is the most trusted name in water filtration.